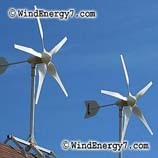 http://WINDENERGY7.com – Wind Turbines are our specialty, we invented the Wind Turbine Kit. wind turbines are the most productive way to power your home. If you are in a wind zone 2 or above we recommend a hybrid wind/solar wind turbine system for your home. Wind turbines are wind turbines used for microgeneration. Rather than using large commercial wind turbines, such as those found in wind farms, wind turbines can be deployed easily by any homeowner. WindEnergy7 sells these wind turbines in kits and has two main types of wind turbine kits. RoofMill, is a wind turbine kit that mounts on the roof peak of any home or business. TowerMill is a higher capacity wind turbine kit that is mounted atop a 36 foot monopole tower. These wind turbines are from 1000 to 5000 watts capacity. 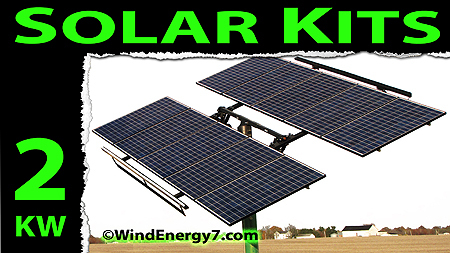 WindEnergy7 also developed the first hybrid wind/solar home energy kit. All RoofMill and TowerMill systems feature hybrid wind/solar design giving the WindEnergy7 systems an edge over any other wind turbine on the market. http://WINDENERGY7.com – Looking for home wind turbine, home wind turbines for sale, home wind turbine kit, home wind turbine kits, residential wind turbine, home wind turbine reviews, home vertical wind turbine, home solar panels, home wind turbine cost, homemade wind turbine or rooftop wind turbine kits, then visit our website. Uploaded by WindEnergy7 LLC is a fast growing Wind and Solar Energy business. WindEnergy7’s founder has trained customers, dealers, and installers in about 40 states of the US from Hawaii to New York & Alaska with exports to Canada, Mexico, Asia, Africa, and Europe. WINDENERGY7 Home Wind Home Power Home Wind Power is what we specialize in. WindEnergy7 is the authority in hybrid home energy systems. Inventor of the RoofMill, Rooftop Wind Turbine Kit, Founder of WindEnergy7 LLC, Manufacturer of Wind/Solar Systems for Homes & Businesses. WindEnergy7. WindEnergy7 – WindEnergy7 LLC – Ohio – Wind Energy 7 University. We are the inventor of The RoofMill, The WindEnergy7 Home Wind Turbine Kit. Our customers find the kits to be easy to learn and understand. Many customers choose us becdause we are the most successful out there. If you are looking for home wind turbine, home wind turbines for sale, home wind turbine kit, home wind turbine kits, residential wind turbine, home wind turbine reviews, home vertical wind turbine, home solar panels, home wind turbine cost, homemade wind turbine or rooftop wind turbine kits, then visit our website. If you are looking for solar panels, solar panel kit, solar panels cost, solar shingles, solar panel manufacturers, thin film solar panels, portable solar panels, solar cells, solar power, how solar panels work, home solar panel kit, solar panels,portable solar panel kit, 45 watt solar panel kit, solar power kit, residential solar panel kit, build solar panel kit, or wind power kit, Visit us at WindEnergy7 LLC. Our larger systems are from 8kW and beyond. As you can see, we have systems that can be mounted on roof mount, pole mount, or solar tracker. We also can help you with a solar Awning that would go on the south or southwest wall of a home, barn, or business. If you are looking for solar panels, solar panel kit, solar panels cost, solar shingles, solar panel manufacturers, thin film solar panels, portable solar panels, solar cells, or solar power.. Please fill out our Contact Form. The system will automatically send you some additional info. There’s enough solar resources in your state for our solar power home systems to do real well. You will reduce or eliminate your electric bill for good! It’s a sure home improvement that will pay you back every day and is as sure as the sun will shine. 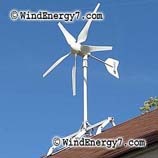 WindEnergy 7 review of wind power products Only Available From WindEnergy7.com. Review the home wind turbine systems featured on this video, exclusive technology, WindEnergy7-com has invented many of the best features in these systems making residential wind power work. There’s a reason why these systems are so successful and effective, it’s mainly the ideas and innovations developed by WindEnergy7-com. 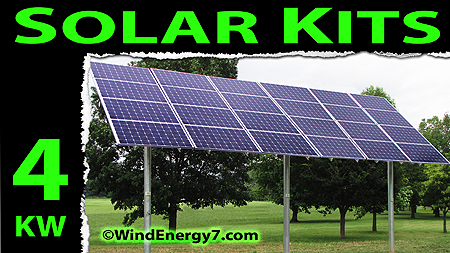 WindEnergy7 is the inventor of the Home Wind Turbine Kit. The first system pictured here it the RoofMill™, which is a product designed and manufactured by WindEnergy7, it is the best price/performance system available for residential wind power. If you have the rooftop space and appropriate site for a RoofMill™ system, it is the best system you can buy. Talk to WindEnergy7 for a review before you buy anything else to find out why this RoofMill™ is such a superior product to anything else out there in the market. The WindEnergy7 review of the RoofMill™. It’s exclusive invention of WindEnergy7 that is not available anywhere else. The RoofMill™ is the best green energy solution for urban and suburban installation. It simply mounts to the roof of almost any structure. Certified to 130mph wind, this durable, quiet system will reduce or eliminate your residential electric bill. Contact WindEnergy7 for a review of more information. Go to our website at WindEnergy7-com and click on the Contact link. We will send you additional information and get you in contact with someone who can review with you about a system for your residence. WindEnergy7-com Contact us by filling out a contact form and we will refer you to someone who can help provide you with information on buying a system or becoming a dealer. Home Wind Turbines, We patented the home wind turbine kit for people to easily install and deploy a home wind turbine. Home wind turbines for business, farm, and residential. Our home wind turbine is a precision machined and well balanced home wind turbine. 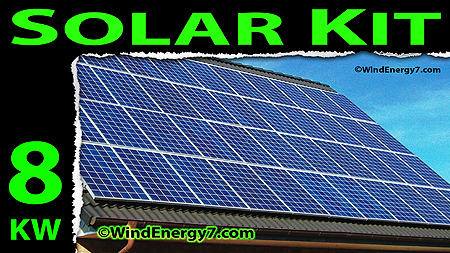 Our patented rooftop home wind turbine kits have hybrid wind/solar technology. We invented the only rooftop home wind turbine that’s safe and quiet for your home, certified in every state to 130mph. WindEnergy7 LLC is an Ohio based manufacturer of home wind turbine kits that are sold online. We hold patents for our home wind turbine inventions, home wind turbine kits that make rooftop wind possible. We have a growing dealer network of individuals in the US who use our home wind turbines, an installed base stretching from Hawaii to Massachusetts, Canada, Europe. Many customers have found it easy to become customer/dealers with our home wind turbine training. Our home wind turbine systems all qualify for the IRS 30% small wind tax credit which pays for 30% of your home wind turbine and installation costs. This Kansas home windmills install by a dealer for WindEnergy7 who installed the most advanced hybrid home windmill system in the US, the Home Wind Farm™. The system has a maximum power output of over 10kW. This Home Windmill system features redundant charging capability, integrated wind and solar hybrid generation, emergency battery backup for the home and more. The pictures below show one of our most recent installations of our Home Wind Farm™ systems. The Home Wind Farm™ system is an exclusive innovation of WindEnergy7 LLC, an Ohio based manufacturer of home windmills and solar electric products. The intelligent layout is by the WindEnergy7 dealer installer. This was part of the planning that optimizes the wind harvesting of the 3 turbine Home Wind Farm™ system. Wind patterns are considered and the turbines are located in the best possible place for wind harvesting. Featured in the video above, the TowerMill™ is a larger tower mounted or pole mounted system that is a wind/solar hybrid energy system that puts out 4.0kW per unit. These Home Windmills sit atop a 45′ monopole tower. Customers can start with one or several. The Home Wind Farm concept allows a customer to step into this technology with a smaller investment and prove out their investment as they go. The modular turbine array concept allows for easy bolt on expansion to a system. A customer can add more power at any time whether they are using the TowerMill™, or the roof mounted RoofMill™. WindEnergy7 pioneered the concept of multiple windmill arrays as an innovation of the US manufacturer. Home Wind Farm™ was initially used with another WindEnergy7 innovation, the RoofMill™, an invention of mounting smaller home windmills on a roof. The RoofMill™ won a green design contest on Earth Day 2010, an esteemed green design award. Whether you need a TowerMill™, or a RoofMill™, WindEnergy7 systems are all designed as integrated hybrid wind/solar power. This is another innovation of WindEnergy7 LLC system design. Our Jumbo Solar Panels upgrades shown below put out 197 watts per panel and add the reliability of solar charging to the systems. Our great big WindEnergy7 high output polycrystalline modules are working in tandem making our system much more consistent and reliable at delivering energy every day. In cases of low wind your solar power will continue to deliver energy. Compared to a home solar only system, our home windmills make power at night, on cloudy days, and when there’s heavy overcast storms. We have 4way™ Emergency Power which is another hallmark that makes a WindEnergy7 system better than any competing home energy system. With our systems you have 4way™ Wind. Solar, Battery Bank, and Grid as sources for power when you need it and your home will have power with or without the utility company. Since this Home Wind Farm features redundant systems, this home even has power if a turbine system were to get knocked out or fail, there are two complete systems that can each run without the other. To see more videos of our home windmills, go to — WindEnergy7.Com — and you can find info about becoming an owner, installer, or dealer of our rooftop windmill systems. There are still areas open for new dealers to become the local source for wind/solar systems. Contact us by filling out a contact form and we will refer you to someone who can help provide you with information on buying a system or becoming a dealer. we can see if your area may still be open for you to become the home windmill dealer for your surrounding county territory. You can buy a system online and we ship by UPS. Home windmills are our business, your home windmill kit will come with all parts and components needed. Our home windmill generators are the best available. We have two main product lines. RoofMill, a roof mounted wind turbine for any home or business use is suited for urban and suburban neighborhood use. TowerMill is our tower or pole mounted wind turbine. If you have a larger lot, or acreage to use then the TowerMill is a great system for you. All systenms are Grid-Tie certified to UL 1741 standards. All systems feature emergency power to keep your home powered when the utility is in black-out. All our systems come with integrated solar power for a hybrid energy power source at your home. WINDENERGY7 COM Contact us by filling out a contact form and we will refer you to someone who can help provide you with information on buying a system or becoming a dealer. These Products ONLY Available At: WindEnergy7-Com – We invented the RoofMill™ rooftop home wind turbine kit and it’s only available from our company or one of our dealers. This video shows our home windmill generator kit in the ice and snow, heavy winter conditions. Like all other conditions, our sturdy all-weater systems hold up to any weather and just keep making green energy for your home. As shown in the home windmill generator video, these home windmill generator kits keep spinning in heavy snow and ice during winter. With the rising costs of today’s electricity, many homeowners are motivated by free electricity. With the current environmental situation, many home windmill generator buyers are motivated by the clean renewable energy, reducing pollution and carbon footprint. In todays economy, many are motivated to save money, living off their free electricity and these home windmill generator jobs are important. 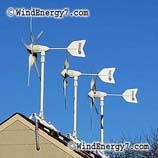 There are people selling and installing these new home windmill generator kits for WindEnergy7.com all across the US. WindEnergy7 LLC, The Home Windmill Generator manufacturer, located in Ohio, has a owner/dealer opportunity for people to get a system and become the local home windmill generator dealer. Home windmill generator jobs are created for local installation and sales in each community where the home windmill generator kits are adopted and sold. Contact us by filling out a contact form and we will refer you to someone who can help provide you with information on buying a system or becoming a dealer. Home Wind turbine manufacturers of home wind turbine kits based in Ohio. Our patented small wind turbine rooftop kit is currently available for purchase online. Or buy a small wind turbine from our established nationwide wind turbine dealer and wind turbine installer network. Our small wind turbine is a very high tech, quality engineered, rooftop wind turbine kit, invented and patented by WindEnergy7 LLC, an Ohio manufacturer. The small wind turbine has a 2 moving part generator using the strongest magnets in the world, less moving parts than any other competitor. Less moving parts in a small wind turbine means less wear, less noise and vibration making the small wind turbine quiet on your home’s roof. Our small wind turbine will run smoothly and spin your meter backwards. We have more installed rooftop small wind turbines than anyone because we have solved the noise and vibration that is the problem of all other systems out there who try to put small wind turbines on a rooftop.